Rob Sneddon​ is a contributing editor at Down East magazine and author of the books Boston’s 100 Greatest Games - Fifth Edition, Boston’s 100 Greatest Gamers and The Phantom Punch. His work has appeared in a variety of publications, including the Boston Globe, and has been cited in the Best American Sports Writing anthology. Before settling with his wife and son in New Hampshire, he rode across America on a bicycle and flew around the world on the Concorde. “He’s a gamer.” Even if they can’t define the term, Boston sports fans know a gamer when they see one. And they’ve seen plenty through the years, from Larry Bird to Tom Brady, Bill Russell to Troy Brown, Carl Yastrzemski to Rob Gronkowski, Bobby Orr to David Ortiz, and Pedro Martinez to Patrice Bergeron. 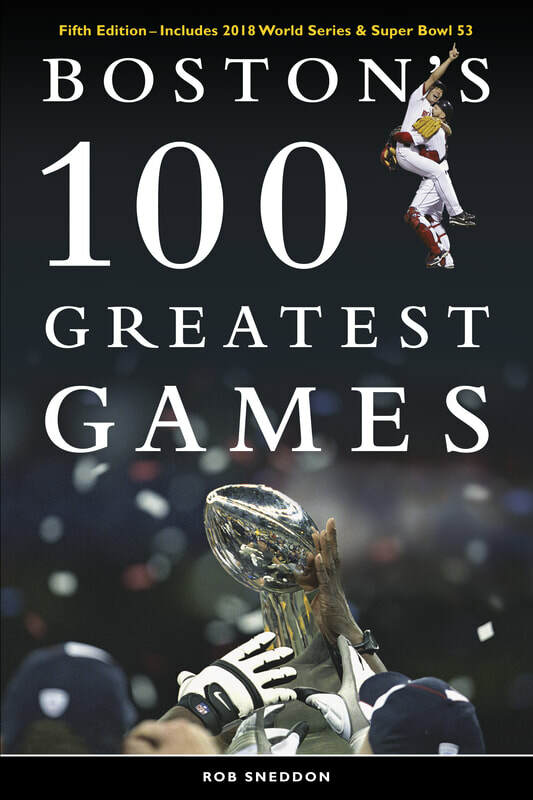 This companion volume to Boston’s 100 Greatest Games provides a definitive ranking. Learn about new books, updates and special promotions.